Exit 44 (Carrolton Exit) Off I-71 - South on Route 227 for 5 Miles to Right onto Route 335 for 6.5 Miles to Perry Park Golf Resort on R - Stop at Guard Station - Agent will Apprise them of Showing. Hard to Find FIRST Floor Condo! Perry Park Golf Resort! Updated! Gorgeous Views of #4 Tee on 7th Green & Lake from Relaxing Screened Porch! 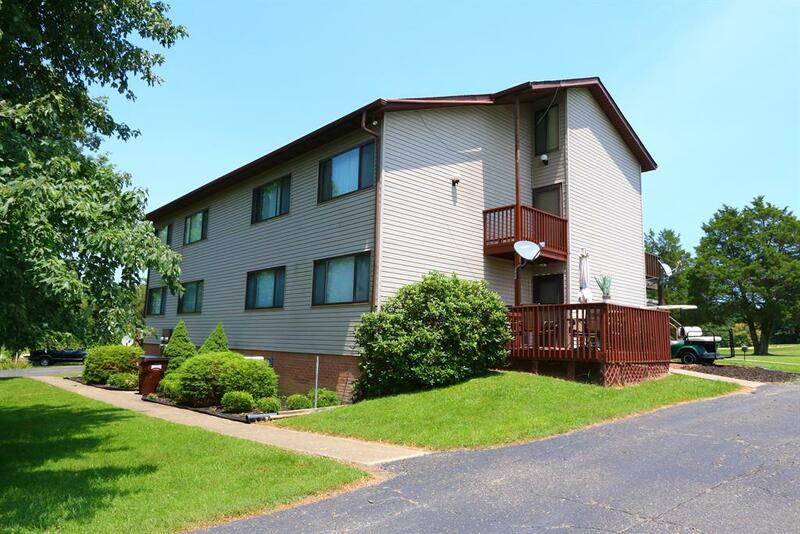 2 Large Bedrooms & 2 Full Baths! MSTR Bath & Walk-In Closet-1.5 Yrs New! HVAC-5 Yrs New! Appliances incl Washer/Dryer-Dishwasher/Stove-2 Yrs New! Beautiful Kitchen! Entry & Dining Room-Allure Floors. Deck for Entertaining! Optional Turnkey! Nicely Appointed!